I'm eclectic and not very genre-discerning. 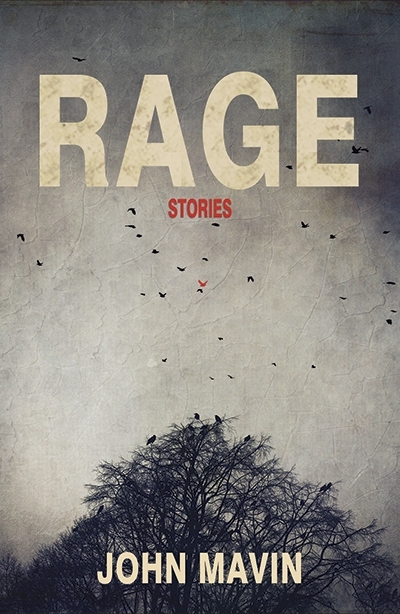 Although Rage is dark literary short fiction, I also write speculative stuff, and sometimes even plays. Oh yeah, and poetry (I do a little of that, too). Below you'll find a list of some things I'll admit to having written. "The High Alpinist's Survival Guide." Prairie Fire, 2014. "Waiting for the Defibrillator to Charge." Pilot Pocket Book 9, 2012. "Giving Head to Kyle Leung." Flashquake, 2012. "And Apparently, Cigarettes." Locution, 2009; Chameleon, 2008. "Recursion." Revista Axxón (as "Recurrencia"), 2015; Tesseracts Eleven, 2007; Spinning Whorl, 2006; Apex Online, 2006. "The House of Lancaster." Emerge: The Writer's Studio Anthology 2006. "Two Minutes." Sport Literate, 2011. "Zebra." Between the Lines, 2012; Sport Literate, 2011. "Losing Ground." The Prairie Journal, 2009.